Directed by: Peter Jackson, Runtime: 136 min. 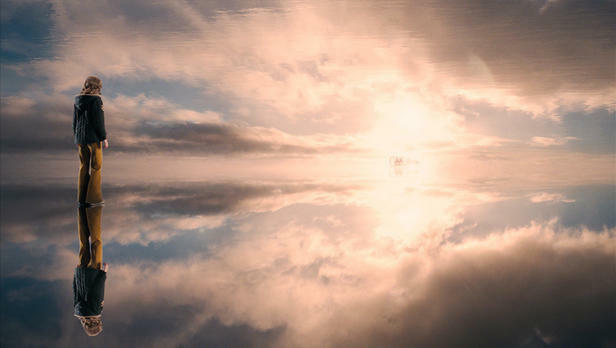 Alice Sebold's best-seller "The Lovely Bones" starts off with a young girl named Susie Salmon -- like the fish -- narrating her murder from the heavens. It's brutal, sad, and gut-rending, but it suitably precedes the blossoming story of a family's tightening grip on her passing. Though intense at first through a vivid depiction of the crime, it transforms into a haunting yet warming narrative seen through the eyes of a wide-eyed teenage girl watching sadly as her father tries to find catharsis by solving her murder mystery -- with the gloriousness of heaven, or more accurately the "in-between", swirling about her. Looking back on director Peter Jackson's career, he seems an ideal fit for a film adaption; between his work with fantasy in The Lord of the Rings Trilogy and his masterful construction of a young girl's mental strife in Heavenly Creatures, it's hard not to get excited about seeing Sebold's book through his eyes. Sadly, this isn't the same Peter Jackson, as indulgent garishness contorts the story into a hollow slurry of emotionally-crippled grandeur. The biggest disappointment about the whole thing is that it's very obvious Jackson knows the story. Well. His eye for Susie, played by Atonement and City of Ember powerhouse Saoirse Ronan, fits the framework of the character to a fine point. She's wondrous, artistic, unabashedly trusting and deep beyond her years. Jackson captures her movement as she walks to and from school through the cornfields, cycles about with her camera in town, and poises against her killer Mr. Harvey, an awkwardly troubling presence through Stanley Tucci's acting talent. Susie's scenes with her father, soundly handled by Mark Wahlberg, tap directly into the images that Sebold drew out. And, as the violent act takes place, the tasteful yet dolefully reserved capturing of Mr. Harvey's inconspicuous vault dug into the ground fumes with awareness of the story's visual tone -- dimly lit and claustrophobic at that particular moment, but beautiful and tender in a melancholy way once this ugly hump is crossed. He know the way that The Lovely Bones should look, and feel. A lot of striking sights are to be seen in Jackson's film as a result, arresting images rendered in both Susie's idea of an idyllic, self-created "playground" of a heaven -- where she's on fashion magazine covers and the leaves on trees are actually birds -- and in the '70s-era Pennsylvania photography surrounding her family's grieving. Massive glass-encased boats float onto a beach shore and shatter, timed with the fraught expression of anger from Susie's father as he breaks his belongings. It reflects on a memory that Susie's holding onto of when the two of them put together one of these boats, an event that occurs shortly before the earth-shattering murder. On top of that, sweeping wheat fields, sandy beaches, and a wealth of other only-in-the-afterlife images similar to those in What Dreams May Come fill the screen when Susie's not forlorn over her passing and watching over her family on Earth. These stunning visions should be glimpses into an emotional transition, seeing as how the lead character won't ever get a chance to kiss the boy Ray that she fawns over at the beginning of the picture, or spend time with her siblings or once-rebellious mother Abigail (Rachel Weisz) again. But emotional they're not. The Lovely Bones should revolve around the raw wound created at the story's beginning that slowly heals over the course of time with the Salmon family, and Jackson doesn't bridge that connective gap. Saoirse Ronan flexes her dramatic chops just as she has before, projecting several moments that'll affect us in the proper manner -- Susie's glance from the afterlife at her father through a window, walking with him through a cornfield while he's carrying a baseball bat and anger in his eyes, and the flickers of angst involving her ferocity towards Mr. Harvey. Most of these other moments, however, have to fight through overzealous CG images, such as that glass boat sequence mentioned earlier. It might take one aback with its scale, but the emotional punch deadens when glass after glass breaks in self-pleasing fashion. This is, after all, an intimate story involving a hurting family and their process in developing scar tissue over the wound of Susie's passing, and the focus on exaggerated splendor muffles the emotional impact. It doesn't help that Jackson sharply deviates from Alice Sebold's structure in order to make his adaptation more "cinematic", though in the process he neuters the picture of poignant verse. Dropped is the semi-flashback arrangement of the novel, so that Jackson can instead tell a more accessible, linear tale that takes nearly an hour to get to a point where Susie's looking down at her family and friends, an element key to the story. Her rousing lines of reflection at the beginning lower to little more than word-for-word voiceover that sticks, kind of, but mostly just fades away as a forewarning. Plot devices, important ones to the nature of the narrative itself, are stripped clean of their meaningful meat -- or not included at all, such as an important sexual affair and a time span that takes place at a gifted children's camp. These statements might read like a vulture picking at an adaptation that's not up to snuff, but certain elements to the story's core integrity, as both an existential allegory and a human-growth portrait, fade away amid the movie-making wizardry Jackson tries to cram in. He gets a lot of potent sequences right, including much of the tension around Susie's sister Lyndsey (Rose McIver) and her tense interactions with Mr. Harvey, but it doesn't mean a great deal if all the heart's not there. This is a shame too, because the casting for the characters is as close to spot-on as can be expected. Aside from the already-addressed Saoirse Ronan and Mark Wahlberg doing due diligence to the characters, Susan Sarandon swaggers and shimmies just right as morale-booster Grandma Lynn. Relative newcomer Reese Ritchie (10,000 BC) gives us a dreamy-eyed boy in Ray Singh that's a believable intellect, as well as a good-enough reason to haunt Susie in the afterlife. Even Rachel Weisz and Michael Imperioli look and sound the parts of Susie's anguished mother Abigail and earnest police detective Lou Fenerman, respectively; however, especially in relation to those two in particular and with the ever-so important presence of artsy ghost-seer Ruth Collins (Carolyn Dando), their characters -- and plot points involving them -- go largely wasted to the story's resonant potential. They're all hearty entities and dramatically pointed enough to watch, but their presence in relation to Susie's time in the "in-between" never dodges that neglected, empty sensation. 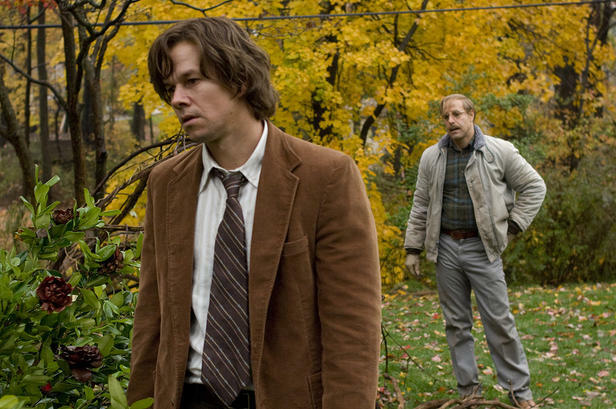 The Lovely Bones simply can't get beyond this scatterbrained focus to be more than an oddly-wired adaptation with only aesthetic reverence, 130+ minutes that chops away at what makes the novel a subtle, mindful story and fills the gaps with overstepped visual imagery. There's no mystery behind the film, just as in the novel; we know who the killer is, as we see the event occur before we even really dig our heels into the characters. Our intrigue with the story rotates instead around the connection that we build with the Salmon family, with Susie, and with the bubbling tension around Mr. Harvey, which fizzles due to muddled direction. Peter Jackson gives off many love-letter sequences that'll make fans of the book reach for their weathered copies, and probably spark a few new readers as well, but the futility of its posh images can be disheartening to watch when sunk into a piece of work that's thrashing wildly to do things it can't do -- all the way until the point where Jackson still makes a brass-balled attempt to execute an ending that's only concrete enough with the book's sturdily-built supporting characters. 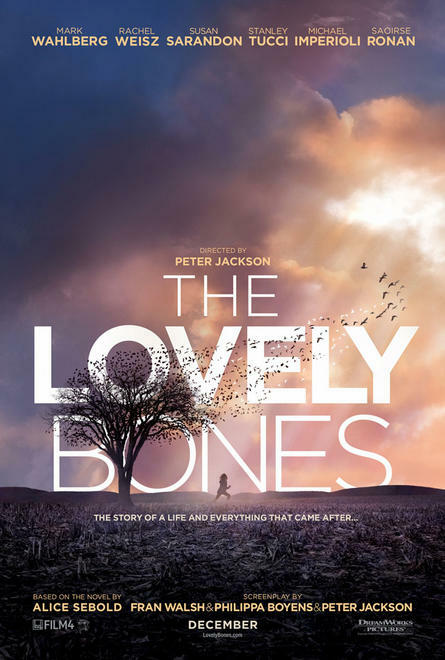 As an admirer of the book, an enthusiast for imaginative existential cinema, and a fan of Peter Jackson's, The Lovely Bones is a disappointment. That's my baggage; but still, none of those biases were completely satisfied.